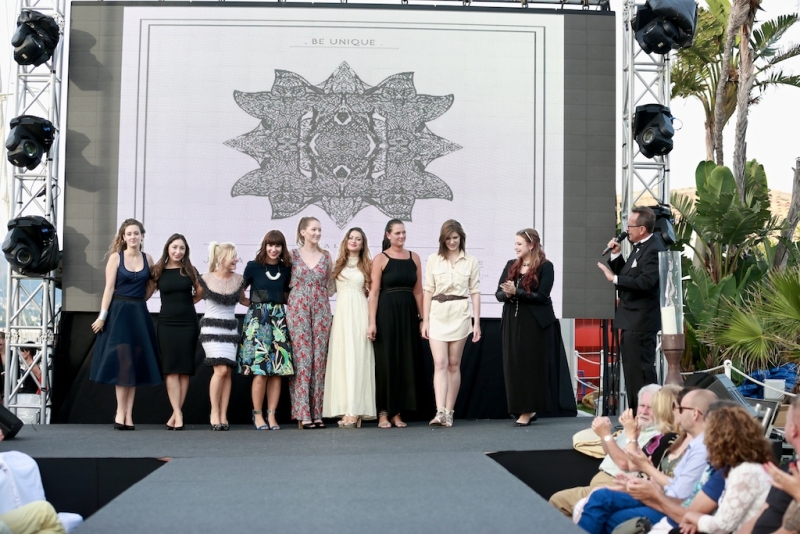 The Marbella Luxury Weekend 2015 event closes with Marbella Design Academy fashion show in Puerto Banús. The 5th Marbella Luxury Weekend event came to a close this weekend with a spectacular fashion show put on by Marbella Design Academy in the port of Puerto Banus. It was the culmination of yet another successful year for the international luxury event which gathers the world's top brands, all on show in the wonderful port. Most of the leading brands across fashion, jewellery, cars, yachts, and property took part together with the top local stores promoting their products. Dani Garcia, the well-known local Michelin star chef, also presented some of his tasteful gourmet creations. The four-day event was very well attended, with the Mayoress Angeles Muñoz opening the ceremony on Thursday evening with over 700 VIPs, international press and media, and local TV. This year, Marbella Design Academy presented nine of their finest young designers with their latest fashion collections, which were very well received, giving the audience a flavour of future fashion trends. Marbella Luxury Weekend is an internationally renowned and unprecedented event in Spain. It takes place in Puerto Banús every June, with the highest concentration of luxury brands per square metre in the world, located in one of the most well-known tourist destinations around the globe, Marbella. The event takes place for four full days in the pre-high season period and with a rich programme of activities in which luxury brands are the main focus throughout the weekend. For more information about Marbella Design Academy, please visit www.designschool.com or contact Mr Alan Gomez at pr-events@marbella-design-academy.com.